Thanksgiving is right around the corner. That means good food and good times with family and friends. But for too many, it also means an unfortunate trip to the ER. Though injuries can happen on Thanksgiving, they can also be avoided easily. As Charlotte, NC personal injury lawyers, we’re all too familiar with the injuries that happen on Turkey Day. Though people can get injured in a variety of ways, it seems the most common reasons are food safety and outdoor activities. Playing touch football has become as much of a tradition as family meals themselves. While many of these makeshift games end with a proper celebration for one team, some are called early when an uncle throws his back out or a young cousin twists her ankle. Training: You won’t see a professional athlete sitting on the couch for three months and hitting the field without proper training. Why would you do anything different? You certainly don’t have to train for months but if you know you will be playing in the annual family game, start getting your body ready a few weeks before. Even walking around the neighborhood every day after dinner can help your body prepare for the physical demand of a football game. Warm Up: It’s not unusual for the family to arrive, hit the backyard and start throwing the ball. This can be a bad idea. Most people warm up before exercise for good reason. Warm ups lubricate joints and increase flexibility to the muscles. Take five or 10 minutes to warm up before the football game. Know the Field: Many an injury has occurred because someone stepped down on a rock or got their foot stuck in an unnoticed hole. Take a walk around the section of yard you will be playing in before the first pass is thrown. Toss or pick up any objects that could potentially be a trip and fall hazard. Suit Up: Don’t wear tight, heavy clothing. Instead, opt for several light layers that you can both move easily in and remove should you get too hot. Encourage your family members to do the same. While you are at it, make sure that you are wearing sneakers with a decent tread. Boots and flats are better suited for the indoors. Stay On Your Feet: It’s not unusual for backyard football games to get a bit heated. Resist any urge you have to tackle another family member. Tackling increases the risk of injury, especially to younger players. Drink in Celebration: Stick to drinking after the game. Alcohol not only decreases your balance and ability to make quick decisions, but it’s also dehydrating. Drink plenty of water or sports drinks when you are playing the game instead. When you’re preparing food, be sure it all reaches the right temperature before serving. Specifically, make sure your turkey gets to at least 165° F by checking the thickest part of the breast or thigh. A good rule of thumb is 15 minutes of cooking per pound, but always use a thermometer to check. When you’re serving food, be sure the hot food stays hot, and the cold food stays cold. Otherwise, harmful bacteria may start growing, causing food poisoning among you and your guests. There are right ways and wrong ways to store your Thanksgiving leftovers. Food should be in separate containers within two hours of serving. You may be tempted to store “meals” in sealed containers, but your foods will go bad at different speeds. Storing them together is a mistake unless you plan on reheating them within a few hours. When putting food containers in the fridge, make sure that you don’t stack them too tightly. Your fridge needs to be able to circulate air. It can’t do that if it is filled wall to wall with plastic containers. Speaking of your refrigerator, make sure that the temperature is correct. Your food needs to be kept under 40° F, so set your refrigerator’s temperature accordingly. Your food is generally safe for up to four days, provided it has been stored properly. Thanksgiving is on a Thursday every year. Any food that isn’t eaten by Monday should be thrown away or frozen. When you decide you want a bit more turkey, make sure you are heating it to the right temperature. It needs to be reheated to above 165 degrees. The same can be said for all of your leftovers unless they are meant to be cold. Soups and gravy should be brought to a boil. If you have frozen any of your leftovers, don’t thaw them on the counter. Let them thaw in the refrigerator so they remain as cold as necessary before you decide to reheat them. Otherwise, bacteria may start to rapidly grow. Set up the fryer on a flat clearing: Find a patch of grass (or preferably, dirt) that’s flat and has no trees or structures around it. NEVER deep fry a turkey on a deck or patio. Follow the manufacturer’s instructions: Your deep fryer should have come with instructions on how much oil to use, and how big of turkey to use. Always follow those directions for safe frying. Wear protective clothing: You should have goggles to keep oil from splashing up in your face. You should also have long pants, a long sleeve shirt, a heavy duty apron and gloves on when you’re near the fryer. Don’t leave the fryer unattended: Unless you want a fire, always stay near the deep fryer. You should also keep children and pets away. Make sure you always have a fire extinguisher nearby. Go oil-less: There are deep fryers available now that don’t require oil. These infrared fryers are much safer than traditional oil fryers. Even one such accident can be catastrophic. A child is playing in a driveway behind a vehicle. The parent or another person leaving the home doesn’t know the child is outside, backs up and runs over the child. These are called backover accidents and determining liability when they occur can be difficult. 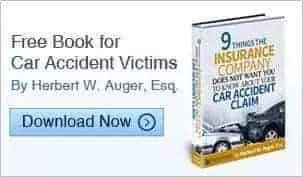 Injuries in backover accidents can be severe and even fatal. These accidents also take a tremendous toll on a family. In more than 70 percent of cases, it is a parent or close relative that is driving the vehicle when the accident occurs. It’s very easy to point a finger when an accident like this is in the news. The parents were negligent. They weren’t paying attention. The truth of the matter is that people get into a type of auto-pilot when starting their cars and backing out of their driveways. In many cases, they don’t know their children are outside or believe they are playing elsewhere. People rarely check around their cars before starting them and leaving home. It can be difficult to see a little one crouched down or sitting behind a vehicle. Even if a driver looks in their rearview mirror or turns their head to check out the back window, they may not see a child behind the vehicle. They check, believe that the coast is clear and back up. When Is a Driver Liable? Unless a child darts behind a vehicle if it is moving, the driver is usually held liable in this type of accident. The child’s caretaker may also be held liable if they weren’t aware of the location of the child. If a vehicle is equipped with a backup camera or sensor and it fails, the manufacturer of the vehicle may be held liable as well. When it’s the parent that runs the child over, the child may sue their parent. This may seem like something that no one wants to happen, but it may be required because of the way that insurance companies conduct business. When two children are playing outside and one gets into the vehicle, causing it somehow to back over the other child, the homeowner may be held liable for the accident and subsequent injuries. When the cause of the injury is another child, auto insurance may not cover the accident but homeowner’s insurance might. When a backover accident occurs, criminal charges are rarely filed. If the accident causes serious injury or is fatal, involuntary manslaughter or vehicular assault charges could be filed. In these situations, a criminal defense attorney can offer the best insights into the at-fault party’s legal options. If your child was injured in an auto accident in Charlotte, you have rights. Reach out to the team at Auger & Auger for a free case evaluation and discover more about your options. Call today or browse our website for more information about our firm and the types of cases we handle. Strollers are a convenience utilized by parents around the world. In most cases, newborns and infants are completely safe in these 4-wheeled “vehicles.” Sadly, accidents do occur, and they are typically because parents have made one mistake or another. Learn from the errors that others have made so that you don’t experience the heartache that comes with having an injured child. It’s not unusual for parents to make a cup of coffee before they leave the house with their child. It’s also quite common for an adult to buy a cup of coffee at the local mall or shop. Cup holders built into strollers make it easy to carry your favorite beverage with you, but it’s important to remember that they aren’t meant to hold hot liquids. If you hit a bump or come to a sudden stop, that cup of Joe could spill over your child’s head and body. Strollers in which infants are placed in a semi- or completely upright position aren’t meant to be used with children under the age of 8 weeks. Don’t put your child in a stroller before they are able to control their head and neck. Your little one could easily slump over, cutting off their own airway. There is nothing wrong with jogging with an infant or toddler in a stroller, but you don’t want to take off on a run too soon. Just like walking with a newborn in a stroller can be dangerous, so can jogging. If you want to get your pre-baby body back or if you’re just looking to get back into your fitness routine, purchase a special jogging stroller and follow the manufacturer’s recommendation for the age of the rider. Strollers are equipped with harnesses that many parents fail to use correctly or at all. These harnesses are designed to keep your infant in the proper position when riding in a stroller. Always secure the harness properly. Don’t be in such a hurry to fold and store your stroller that you don’t make sure your little one is out of the way first. Tiny fingers are easily pinched inside the joints and bars of strollers. If your infant or toddler reaches out and grabs onto the stroller while you are folding it, you may very well be taking a trip to the hospital. Strollers are convenient when used properly. While some accidents are due to user error, others are due to defective products. If your child has been injured by a defective product in Charlotte, call our office. We will review the details of the accident at no cost to you and advise you of your options. Only a monster would leave a child to suffer in a hot car, right? You may think that, but you would be wrong. Every summer, there are dozens of children that are left in the backseat of hot cars only because their parents are distracted and operating outside of their normal routine. On average, there are 37 children who die each year as a result of heat stroke sustained in a vehicle. The tragic accident can happen to the most loving, competent parents and guardians. No one thinks it will ever happen to them, but it does. here are ways that you can prevent such a tragedy from happening to you. When you buckle your child into the backseat, leave something that you will need with them. It may be your purse, your cellphone or even your employee I.D. badge. Choose something that you would have to go back to your car for if you forgot. It doesn’t have to be a bear, but it should be something brightly colored. Keep it in the child seat and, when you buckle your child into the seat, move the object to the passenger seat. This will serve as a reminder that your little one is in the back. Find someone you trust and ask them to call you. The key is to have them call you between 5 and 10 minutes after you are expected to arrive at your destination. The purpose for the call? To ask you if you remembered to take your child out of the car. If you drive an automatic, you drive with your right foot. Take off your left shoe. Set the shoe next to your child’s seat. You won’t walk very far with only one shoe on. 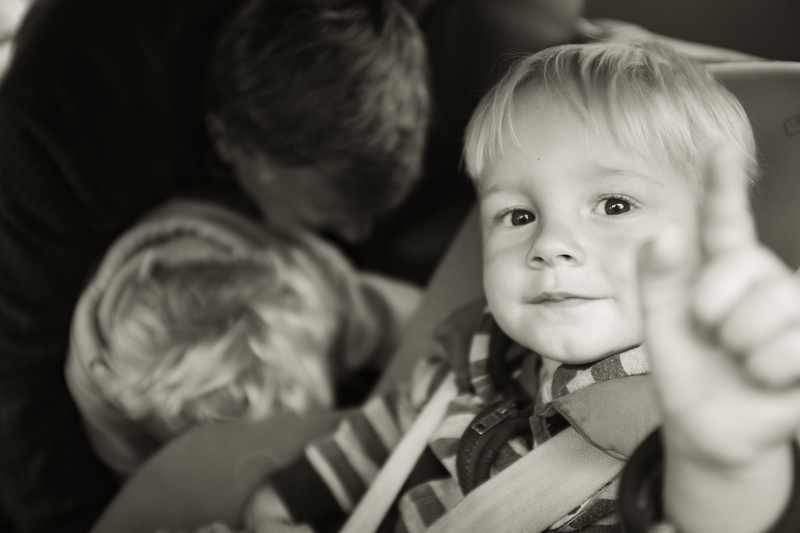 Make a habit out of checking your backseat, even if your child is not with you. Once you practice this enough, it will become second nature. Always checking the backseat as you get out of the car will help to ensure you don’t lock your child inside. It’s important to remember that none of these methods are foolproof and that accident do happen. The more vigilant you are and the more ways you can trick yourself into getting into the backseat, the less likely you are to become the victim of this horrendous type of accident. If you or a loved one has suffered an injury in Charlotte, call our office. A member of our team will discuss the details of your accident with you at no cost. Let us help you determine the next appropriate steps. Call now for assistance. Kid-proofing the holiday décor doesn’t need to be difficult, but it does need to be done. Little hands and tiny mouths love to explore. The holidays are filled with shiny, interesting objects that are just begging to be inspected and tasted. Here are a few tips to make your holiday home a safe one for the children in your life. Pay close attention to the ornaments you choose to hang on your tree or place in bowls around your home. Avoid those made of glass or any with sharp corners and removable parts. Do not use decorations that are shaped like food or candy. Keep all of these items stored safely and pull them out when your children are older. Holiday lights make any home look festive, but they can be dangerous for children. Keep cords hidden from your little ones, or tape them down to the walls or floor. Use bulbs that are UL-rated, and make sure that no cords are frayed or otherwise damaged. You can’t keep your eyes on your toddlers around the clock, no matter how hard you try. If you have an artificial tree in your home that is older, make sure that it does not contain lead. If you can’t be certain or you can’t find out, throw the tree away and get a new one. You don’t want to walk into the room and see your child chewing on lead-filled branches. Holiday plants are gorgeous and virtually shout festive. They are also potentially poisonous. Not all holiday plants are toxic, but many are. Leave the holly, mistletoe and Jerusalem cherries alone. Opt for fake plants or think of an alternate way to introduce greenery into your home. A good rule of thumb is this: If you don’t want it broken, don’t put it out. This is especially true if you have toddlers or pets. If you simply could not live with yourself if your grandmother’s antique snowman collection met its end, keep it safely boxed away. Not only will it be dangerous for your children if the items break, but you will be heartbroken. Wait until the kids are older and can respect the sentiments that come with collections like these. Holiday decorating is fun and can turn a home from dull to festive in an afternoon. You don’t have to skip the decorating when you have toddlers, but you do have to do things a bit differently. Use these tips to make sure that your home is both festive and safe. If you are injured this season, our personal injury attorneys are here for you. Call us today and let us review the facts of your case free of charge. Call now. A 15-year-old boy is recovering from serious burns at a hospital after he doused himself with flammable liquid and dared a friend to set him on fire. According to Orange County law enforcement officials, a group of teens was playing a game of daring each other to perform stunts at approximately 7:00 p.m. on Forestdale Drive, near North Pine Hills and Indian Hill roads. The boy, Roberts Seals, poured a flammable liquid on himself and told a friend to set his clothes on fire. The friend, following Seals’ instructions lit him on fire. Seals suffered serious burns on his arms and back, throat and face. One of Seals’ family members said in a recent interview that Robert Seals has not been able to speak since the incident, so he has been unable to explain his version of what happened. Seals is expected to be air lifted to another hospital that specializes in the treatment of burns. Orange County Sheriff’s officials say that no charges are pending in connection to the incident. Being burned is one of the most serious and painful types of injuries to ever have to suffer. Very often the treatment of burns requires specialized, sometimes very extensive medical care. Recovery can go beyond that of other injuries in terms of time. Depending on the severity and degree of the burn injury, sometimes the treatment for serious burns can last months or even years and may require constant care after the accident. Those seeking settlement in accidents involving burns, especially those which are greater than a second degree, need to consider the future cost of the injuries as well as compensation for pain and suffering of the victims. If you or a loved one has been seriously injured in an accident of any kind, contact the offices of Auger & Auger today. We can help you and your loved ones after the accident and you may be eligible to receive compensation to cover any medical or ongoing costs as the result of your accident. Before you agree to sign any statement or insurance settlement, you professional legal advice from qualified and experienced attorneys. At Auger & Auger, we can tell you what your case is really worth and fight for your rights for just compensation. Call us today to make an appointment for a free, no obligation initial consultation. An accidental firing of a .22 rifle has resulted in the death of a 16-year-old girl. According to the Catawba County Sheriff’s Office, Selena Seleste, 16, was taking pictures with Clayton Webb, Jr. of Newton with a rifle when the gun fired and hit Seleste in the chest. Authorities say Webb fired the weapon. Seleste was taken to an area hospital and died as a result of the gunshot wound before she could be airlifted to a hospital in Charlotte. Deputies say a 21-year-old acquaintance of both the victim and the suspect was meeting with both Seleste and Webb to potentially sell the .22 caliber rifle when the accident occurred. The incident is still under investigation and a report regarding the incident is expected to be submitted to the district attorney’s office when the investigation is concluded. So far, no charges have been filed in the case. Injuries or fatalities from an accident involving firearms can come when issues of gun safety are not followed, or they can come when there are defects in a product. While the investigators are looking into why a tragic accident happened in the first place, that is of little comfort to the family and loved ones left behind. Even if this incident is ruled an accident, family members can file a wrongful death suit in such a case. Wrongful death claims cannot bring back those that are lost but they can compensate family members for the loss of companionship with their loved one. Many factors are taken into consideration in wrongful death claims. An experienced attorney understands this and can fight for you to help compensate you for your loss. No one can ever replace loved ones lost through an accident. Auger and Auger understands that and wants to help in whatever way possible. We are knowledgeable about wrongful death claims and can help you fight to recover for your loved one. Call us today for a free consultation. A teen has been indicted by a jury on charges of driving while impaired and felony death on Tuesday. According to court documents, David Engelmann, 18, of Hickory, was driving a Subaru Forester in August when he ran his vehicle off the road. Engleman overcorrected and flipped the small SUV. Killed in the accident was Engleman’s high school classmate, Jay Brian Robertson II, 17, who was ejected from the vehicle’s open sunroof. Robertson died as a result of the injuries sustained in the crash. Investigators with the Hickory Police Department indicated that Engleman’s blood alcohol level at the time of the accident was 0.09 per cent, which is over the legal limit of 0.08. A grand jury declined to indict Engleman on the charge of felony death by vehicle in May. The problem of underage drinking is one that affects communities everywhere in the country. While some may feel it is only natural for teens to want to test their limits while drinking before they are of legal age, teen drivers have less experience with both driving and alcohol so they often will misjudge their ability to drive after consuming alcohol. Statistics have also shown that teen drivers tend to drive over the speed limit more often than more experienced drivers do. When the elements of speed, a teen driver’s inexperience on the road, and the use of alcohol are added together, the end result can often be an accident leaving people seriously injured or worse. If you have experienced a loss or damage or have been injured due to a drunk driver, give the offices of Auger & Auger a call. We have years of experience in DUI cases and in recovering restitution for damages for our clients You and your loved ones deserve not only compensation for your injuries, but also to see that justice is served. We will help you decide your best course of action and we are here to help. Your initial consultation is confidential, free and without obligation to you. Contact us today. Yet another accident involving a bounce house has raised questions as to the safety of these inflatables. Memorial Day weekend saw a bounce house release from the ground and go flying across a Fort Lauderdale beach. This accident is just another in a string of incidents that has parents and children’s safety groups wondering if the giant inflatables are a good idea. As a parent, you want your child to have a good time. Whether it is at a birthday party, a local fair, or a park, bounce houses are becoming a common sight. It’s important, however, that you make sure the house is safe before you let your children take off their shoes and climb inside. According to Tony Axtell, owners of All Star Family Fun Owner, the biggest problem that bounce house operators face is wind. As a safety precaution, many owners, including Axtell, will deflate bounce houses once winds reach speeds of 15 to 20 mph. If you want to rent a bounce house for your child’s party or your next family gathering, here are some precautions that you can take. Research the company. Inflatables are not regulated in many states, meaning it is up to you to research the company. Only rent from a company that is insured, and be sure to check online for reviews. Staffing. Some companies will provide supervision for their houses and some will only perform set up and dismantling. Know what type of staffing the company is going to provide. Supervision. No child should be permitted in an inflatable without supervision. Whether the company sends an employee to supervise or you have to choose a friend or family member, make sure someone always has an eye on the little ones inside. Watch the weather. High winds and inclement weather mean that the bounce house should be closed for business. The weather doesn’t have to be sunny and perfect, but it does have to be mild. Size. Bounce houses come in different sizes. Before you let children inside, be sure that you know the maximum number of kids and the maximum weight that the house can handle. Do not overload the inflatable. Safety. Should the bounce house deflate, hold the door open and instruct children to crawl outside. Before you reinflate the house, be sure that the deflation was not caused by a rip or tear. If your child has been injured in a bounce house accident, you may be entitled to compensation. Call our offices today so that we can review your case. We are here for you. Call now.